Sugar, CASHEW, cocoa BUTTER, MILK, lactose, glazing agent: E414, emulsifier: SOY lecithin, yogurt flavor, vanilla. May contain traces of PEANUTS, SESAME NUTS. This combination is a sign of laid-back understatement. They look plain white and harmless - unless you decide to eat them. Their subtle taste of yoghurt chocolate combines perfectly with the aromatic taste of the cashews. Together they are? too yummy to be wolfed down. Cashews - are they nuts? No, Cashews are no nuts - although they taste and look nutty. Cashews are kernels. 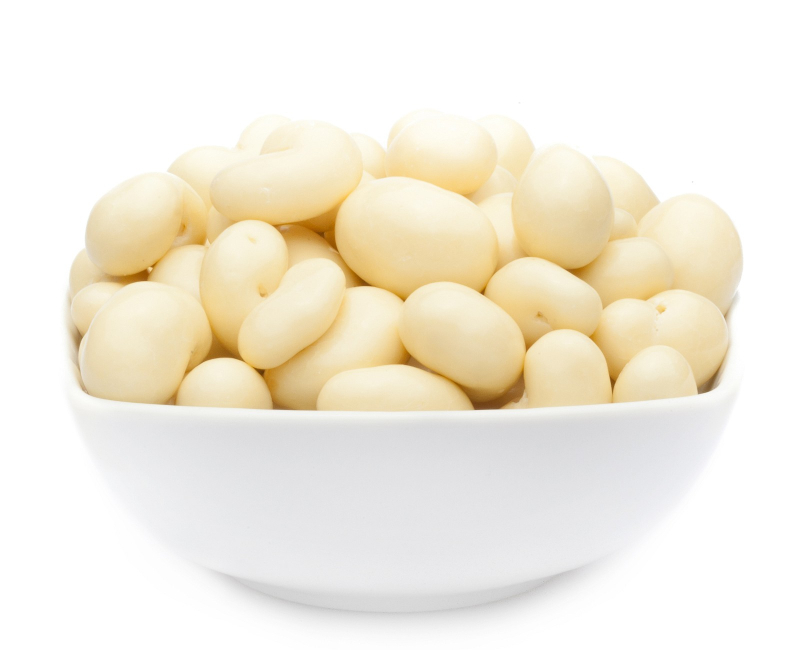 Nonetheless, cashews are healthy, because they are rich sources of dietary minerals, e.g. manganese, phosphorus, and magnesium. This fact shouldn't be the reason you adore them, but because they are simply appetizing! For vegans, cashews have become indispensible. You can make vegan cheese, burgers and dips with them. Not in this case, you can use them for sweeter purposes. Put them in your yoghurt, decorate birthday cakes? or eat them just like that, without making a detour.